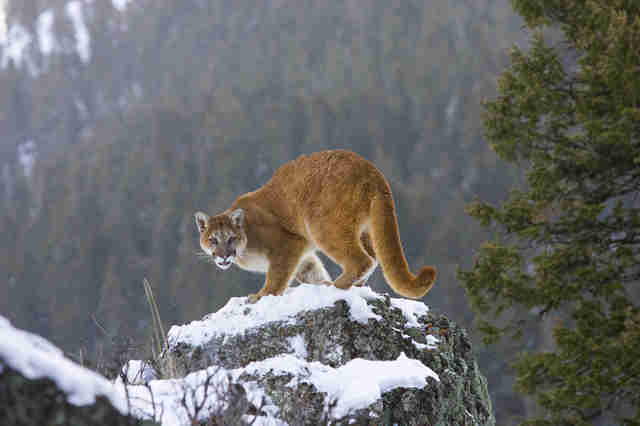 A mountain lion ventured within the city limits of Great Falls, Montana, on Friday morning. She wouldn't leave alive. The young female was first spotted before dawn on Friday. Only around 1 year old, she likely had just left her mother and was seeking her own territory to settle down in. Though she exhibited no aggression, when she didn't immediately leave town, officials with Montana's Fish, Wildlife & Parks (FWP) department decided the only course of action was to kill her. With the help of a dog handler, officials tracked her to a storm drain in Giant Springs State Park on Saturday afternoon, according to local news outlet KFBB. She tried to run, but they shot her before she made it very far. "It's just unbelievably sad that their first instinct is to kill an animal," Susan Bass, press relations representative for the Florida-based sanctuary Big Cat Rescue, told The Dodo. "That shouldn't be the first instinct, to kill an animal that seems like it was doing nothing but being in the wrong place at the wrong time." 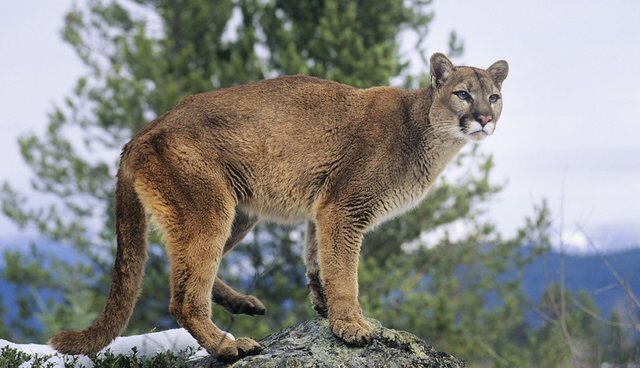 Unfortunately, Montana is just one of several states that has a zero tolerance policy for big cats who cross city lines, even if they show no aggression and are, as most mountain lions are, shy and scared of people. 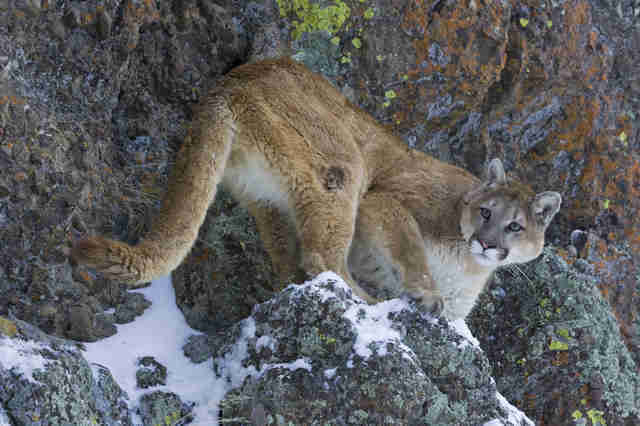 "We have a healthy lion population in Montana, and in order to appreciate mountain lions in the wild, we don't allow them in cities and towns," Bruce Auchly, regional information officer for the Great Falls division of FWP, told The Dodo. "It presents a human safety issue." Though many wildlife departments tranquilize and relocate cats, Auchly said that drugging the mountain lion wasn't a suitable alternative to killing her because tranquilized cats don't fall asleep immediately. "They can take 10, 15, 20 minutes to enact," he said. "And in a town, who knows where that animal's going to go." He also said that there were no good spots for them to relocate the big cat. "You can learn a lot from your house cats, and by that I mean lions are very territorial," he said. "Even if you're able to get it, knock it out, where are you going to put it? To put it in another cat's territory in the wild is not a good idea." 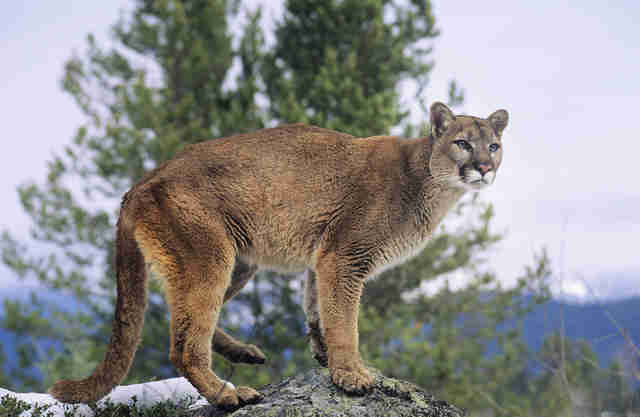 However, both Bass and Amy Rodrigues, staff biologist for the Mountain Lion Federation (MLF), said that the killing was an overblown response to a harmless problem. "The threat to people in these situations is extremely low," Rodrigues told The Dodo. "I don't believe this cat posed an imminent threat or should have been killed." "Given time, most lions move away from people on their own and are rarely even detected," she explained. While Auchly cited concerns about both tranquilizing the mountain lion and relocating her, Rodrigues pointed to several states who have successfully instituted relocation policies. "Relocation - and when done along with hazing [pestering animals so they learn to avoid humans] - have proven to be very effective on young lions who accidentally wander into cities," she explained. "California, Washington and Colorado have policies that allow for relocating lions away from urban areas, and I've never heard of a single incident where one of these cats later stalked a person or got into trouble." California in particular is a success story. A 2013 law prohibits officials from killing mountain lions under the guise of public safety unless they're actively aggressive toward a citizen - as Rodrigues put it, "Simply being in the wrong place at the wrong time was no longer an excuse to pull the trigger." 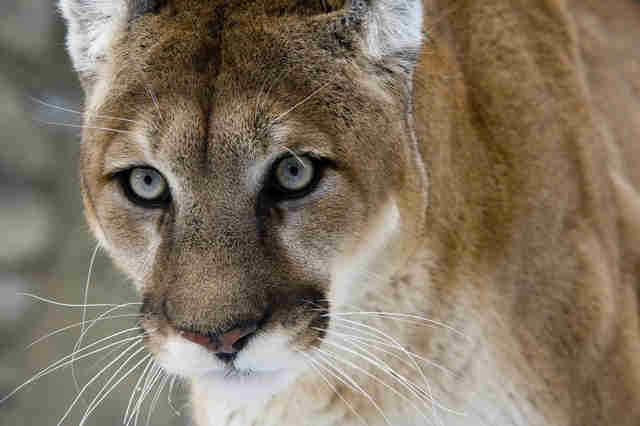 Since then, California has tranquilized and relocated around a dozen mountain lions without any problems. 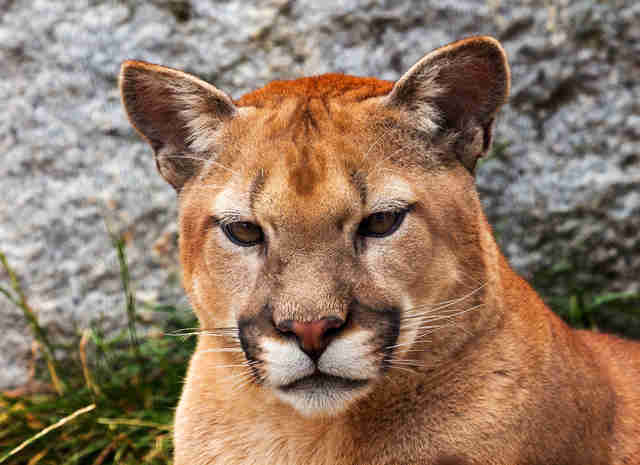 "California has more people and more lions than any other state, and still, no relocated cat has come back or caused a problem," Rodrigues explained. This isn't the first time the FWP has taken a questionable approach to wildlife. Back in June, a baby moose was spotted wandering around helplessly after her mother died giving birth. When a concerned citizen called the department to seek help, FWP arrived then killed the baby and blew up her body. Montana isn't the only state that has a zero tolerance policy; mountain lions in particular tend to elicit a "shoot first" mentality from parks officials. In May, a mountain lion in Omaha, Nebraska, was killed in a hail of bullets after falling asleep by a building. At the time, Tim Dunbar, executive director of MLF, told The Dodo that mountain lions are usually shy and that this one posed no threat to city dwellers simply by entering the city. But states like Montana and Nebraska still won't follow the lead of states like California - and Rodrigues said the wildlife policies are just evidence of a larger problem. "It would be great to see Montana catch up with the times," she said. "But when a state allows 500-plus lions to be killed by recreational hunters each year, it's hard to expect them to put in the time and effort to save one wandering juvenile female."